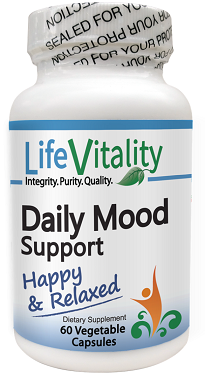 Life Vitality Ultra Cholesterol Defense supports healthy cholesterol already within a normal range. This blend comes packed with a number of tested and approved heart health supplements to help balance lipid levels and promote proper blood flow. 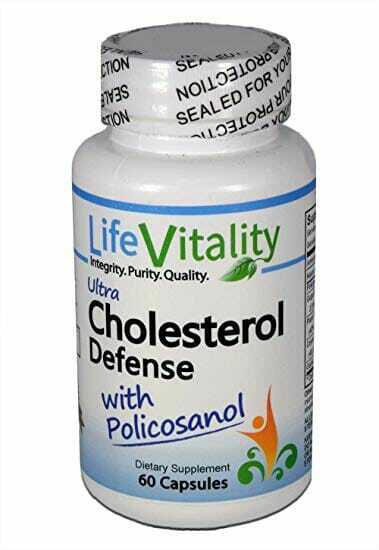 Life Vitality Ultra Cholesterol Defense with Policosanol naturally supports healthy cholesterol already within a normal range. This blend comes packed with a number of tested and approved heart health supplements to help balance lipid levels and promote proper blood flow. Contains a blend of potent heart-healthy supplements. Supports optimum levels of cholesterol, HDL and LDL, already within a standard range. May aid in healthy blood flow. 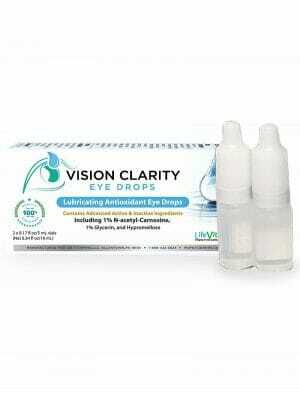 A uniquely potent blend of natural ingredients and herbal extracts. Policosanol is a natural supplement derived from sugar cane. The main ingredient is octacosanol. Octacosanol is an alcohol found in the waxy film that plants have over their leaves and fruit. The leaves and rinds of citrus fruits contain octacosanol, and so does wheat germ oil. Policosanol has been shown to naturally support healthy cholesterol levels already within a normal range. 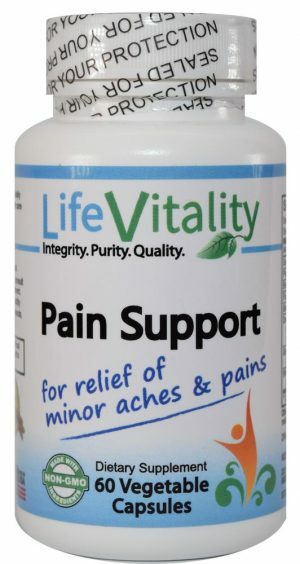 The efficacy and safety of this natural supplement have been proven in numerous clinical trials, and it has been used by millions of people throughout the world. Niacin (nicotinic acid) is a B vitamin which is utilized in your body to convert food into energy. 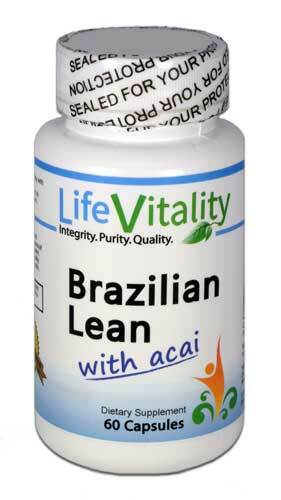 It is often used to support HDL cholesterol or vitamin deficiency. Niacin also helps to maintain the nervous system, the digestive system and skin health. An ancient substance which has recently been re-discovered by Western culture, Gugulipid is made from the resin of the commiphora mukul tree of north central India. The Indian people widely regard Gugulipid as a powerful natural agent for supporting cholesterol levels. Phytosterols or plant sterols are structurally similar to cholesterol. This similarity causes the absorption of cholesterol to be blocked as a result of the competitive inhibition. Studies suggest that the consumption of plant sterols can help to significantly support cholesterol levels and overall heart health. The heart health benefits of garlic are numerous. Garlic may support blood platelet stickiness (aggregation) and LDL cholesterol oxidation. For those with high LDL cholesterol levels, garlic supplementation is particularly important. Cayenne helps to support fibrinolytic activity. This is the reason why cayenne is widely considered to be effective in aiding the function of the heart, arteries, and blood vessels. Other Ingredients: rice flour, vegetable stearate, silicon dioxide, and Vegetable cellulose. Policosanol should only be taken by people who have high serum cholesterol levels. The optimal range of total serum cholesterol is between 180 and 200 mg/dL. Cholesterol levels below 180 cause an increased risk of mortality and levels below 150 may be very dangerous. It may be particularly risky for people over age 70 to have cholesterol levels below 150-180. DO NOT TAKE policosanol if it causes serum cholesterol to drop below 150-180 mg/dL. Anyone supplementing with policosanol should check their total, LDL- and HDL-cholesterol levels within 8 weeks of beginning treatment to make sure they are taking the proper amount to modify cholesterol to the optimal safe ranges. If you are currently taking cholesterol-lowering drugs, you should notify your doctor if you plan to use policosanol instead of, or in addition to these drugs. Some people who do not adequately suppress cholesterol with drug therapy may choose to add policosanol to achieve better cholesterol control. Pregnant or nursing Women should not take this product without consulting with a healthcare professional. When using nutritional supplements, please inform your healthcare professional if you are undergoing treatment for a medical condition. Note: These statements have not been evaluated by the Food and Drug Administration. Policosanol is a dietary supplement and not a drug approved by the FDA.